I've always been fascinated by the concept of smartwatches. The idea of wearing a tiny device on your wrist that is capable of doing more than simply telling the time seems almost like science fiction, but it's hardly a new concept. The infamous calculator watches of the 80s and 90s are the most well known example, but there were others, including Casio's camera watches, one of which I actually owned briefly. Today, we are in the midst of a new smartwatch craze, which most people agree was started by the Pebble. I've been wanting a Pebble watch since they began their kickstarter campaign nearly 2 years ago. Since then, they have released the watch in new colors, and have started selling it on Amazon and at Best Buy. Other smartwatches have also entered the picture over the past two years, with Samsung's Galaxy Gear being the most high profile. But there are others, including the Qualcomm Toq, the MetaWatch, and the Martian Passport. In the world of rumors, LG is widely expected to announce their own smartwatch at CES next week, and there continue to be rumors that both Apple and Google are working on their own iWatch and Nexus Watch, respectively. But despite all of the new competition, I kept coming back to the Pebble as the one I wanted. And thanks to a Cyber Monday sale, I finally got one. I've been wearing it for about three weeks now, and while it isn't perfect, I think it hits the sweet spot of what a smartwatch should be. The Pebble completely nails the most important aspects of a smartwatch, in that it's a watch first, smart second. The screen is always on and always showing the time (which, believe it or not, the Galaxy Gear doesn't); the screen is very high contrast and looks great in bright sunlight; the watch is small, easy to use, and fairly stylish. It loses some fashion points for its very plain, plastic band, but the band is easily changed just like most traditional watches. The Galaxy Gear and Qualcomm Toq both have permanent bands that can't be replaced, since they pack watch components into the band (the Gear has camera and speakerphone in the band, whereas the Toq puts the battery on the underside of the band). 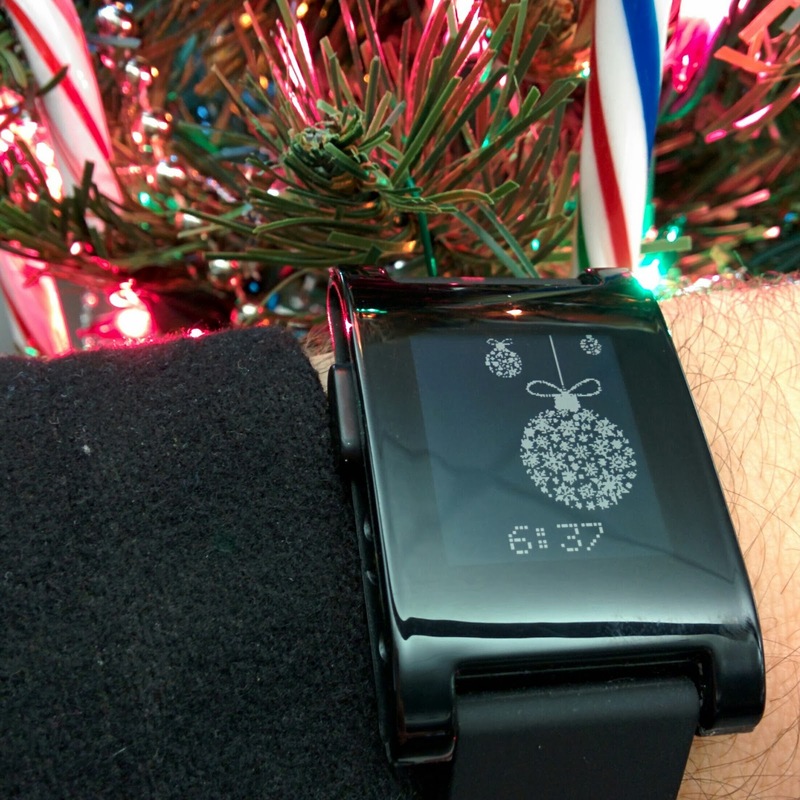 The Pebble also lasts 5-7 days on a battery charge. The included charger is magnetic and snaps right to the side of the watch. The Galaxy Gear and Toq both have special charging docks, and while the Toq will also get several days on a charge, the Gear will likely need to be charged every day. 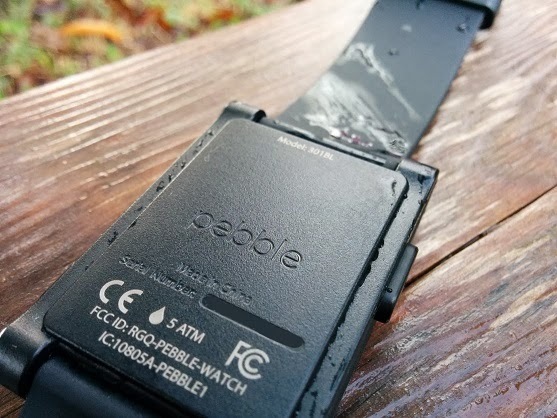 Oh, and the Pebble is waterproof, too. You can take a shower, swim, shovel snow, visit the beach, etc. all while wearing it. The more expensive Galaxy Gear is not waterproof. The Pebble is also smaller than almost all other smartwatches available today. It fits my wrist perfectly and is very unassuming. It's way smaller than some of the enormous analog watches that seem to be popular these days. As far as smarts go, the Pebble only does a few things, but it does them well. It's considerably less featured than the Galaxy Gear, for example, which boasts a full-color touchscreen, voice control, speakerphone, camera, etc. The Pebble has none of those things, and is merely a window into what's happening on your phone. The Pebble interface is completely controlled via the side buttons, no touchscreen here. All watch controls for things like music, or changing alarms, is done via the side buttons. So once paired to your phone, the Pebble will vibrate and display notification details for things like emails, text messages, incoming phone calls, calendar appointments, Facebook, etc. There are many third party Pebble apps that expand notification support to other apps like Twitter, Snapchat, and anything else you might want. The Pebble can also control music playback on your phone. I had a "wow" moment when I was working in the garage and turned on my Bluetooth speaker. My phone linked to the speaker and the Pebble, allowing me to leave my phone in my pocket and control podcast playback from my watch. It's a solution to a painfully first-world-problem, but it was pretty cool. Of course, the Pebble also has other traditional watch features like alarms. Since it doesn't have a speaker, it will simply vibrate when its time for the alarm, which provides a nice, silent alarm that won't wake others in the house. Lastly, the Pebble tells the time. This might seem obvious, but its one of Pebble's standout features. The watch can be customized with literally thousands of different watch faces. 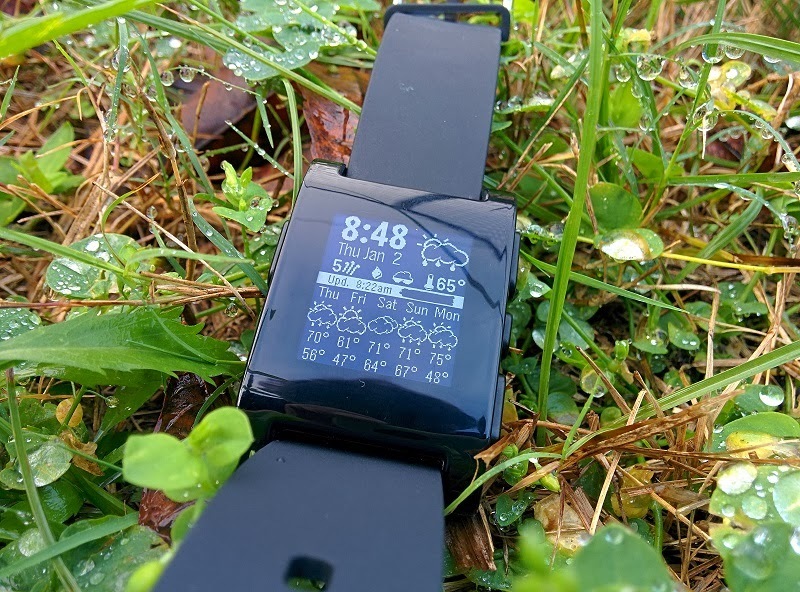 Right now, finding these watch faces requires visiting 3rd party websites like MyPebbleFaces.com or PebbleBarn.com. Pebble has recently announced that an official Pebble Appstore is coming early this year. The watch faces you can find vary from simple ones displaying your favorite sports team logo or movie character, to more complex ones that display the weather, current Bitcoin price, time across timezones, or missed notification counts. Some of these faces require special companion apps on your phone, but these are pretty straightforward to set up. The biggest change I've noticed since using it is that I don't feel compelled to check my phone nearly as often. Whether we should or not, we all have that compulsive, "better check in case I missed something" notion, and we check our phones multiple times a day to find no missed notifications. Since wearing the Pebble, I don't find myself doing this nearly as often. I always know when notifications come in, I can glance at them to see if they're important, and easily ignore the non-important ones, all without ever taking my phone out of my pocket. Again, its a total first-world-problem here, but it's helped me detach myself from constantly staring at my phone. The podcast playback is also really helpful for me. I have Bluetooth in my car, and since having the Pebble, when I start the car, my phone automatically connects to the stereo and I can resume my podcast playback from the watch, no pulling the phone out and unlocking the screen required. It only saves a minute or so on each drive, but it adds up. All in all, the Pebble is a really solid watch that I'd easily recommend to anyone. If you're even slightly interested in smartwatches or in having your notifications sent to your wrist, you should definitely check it out.